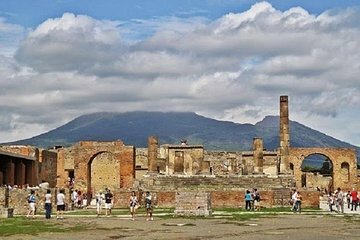 Explore the ruins of Pompeii on a 2-hour tour with convenient skip-the-line admission tickets. In addition to navigating the site, your guide provides facts you may not find in a guidebook and points out the everyday uses of the unmarked structures and ruins. A small group size ensures a personal experience and room for questions.